Apple unveiled iBooks 2 and the new Textbooks component of the iTunes store at a recent education-focused media event in New York City. A new promotional video released by Apple entitled “The Textbook. Reinvented for iPad” showcases the potential of digital textbooks on the iPad to improve student engagement and learning, both in and out of the classroom. “Education has always been a big part of Apple’s DNA, and that’s because we really believe that technology can make a profound difference in the way that teachers teach, and kids learn. And we now have the opportunity to change one of the cornerstones of education – the textbook. With the iPad we’re making textbooks so much more engaging, by adding audio, video and interactivity, the content comes to life in ways that are just not possible on the printed page. 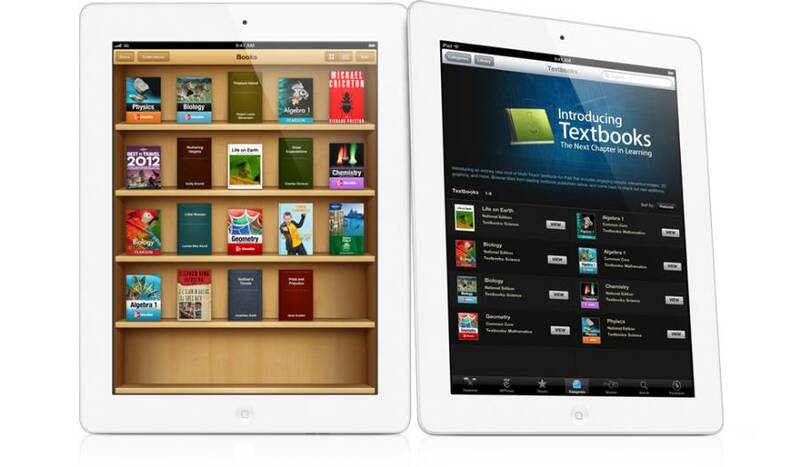 Apple is focusing initial efforts on the high-school market, with textbook prices in the new iBooks store to be capped at $14.99. Publishers can update their textbooks in the same way that developers can release updates and new content to their apps and games, ensuring that students always have the most accurate information at hand. iBooks [iTunes Link] and iBooks Author [iTunes Link], Apple’s textbook-creation tool for Mac, are both free downloads from the App Store.